If you enjoy shopping at Katies, then you'll love the extra benefits that you can get as a frequent shopper. As an extra benefit, join today and you'll receive a $10 voucher. Sign up online or in store. 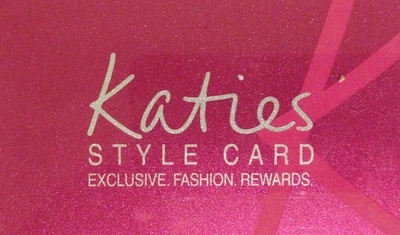 So if Katies is one of your favourite shops, you need to get this special pink card in your wallet today. Which is the best kid friendly restaurant in Perth? Where is the best ice cream in Perth?